Heat the oil in a non-stick pan, then gently fry the onion and bacon together for 5-10 mins until the onions are softened and just starting to turn golden. For the last minute add in the garlic, then add the puree and brown sugar. Stir in the tomatoes, stock, thyme and chilli flakes and seasoning to taste, then simmer the sauce for 5 mins. Add the beans, then simmer for another 5 mins until the sauce has thickened. Heat a griddle pan on high then griddle the bread on both sides until charred and toasted. 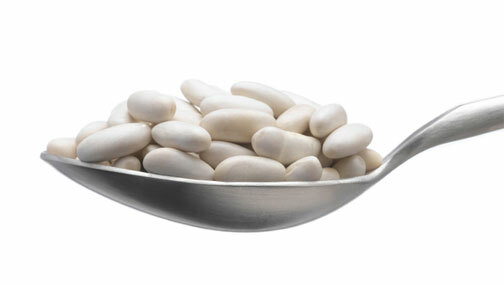 Serve the beans with a slice of toast, and a poached egg.